See a recap of all the amazing things our Sullivan Middle student scientists are learning at our first annual STEM night. Sullivan Middle School hosted it's first STEM Night to demonstrate learning highlights of our new STEM electives on campus. 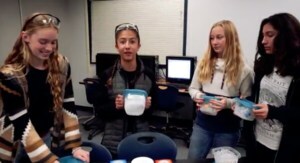 Here's a video from our 1st annual SMS STEM Night.